Anaerobic digestion is a biological process that uses bacteria that function in an oxygen free environment. These bacteria convert volatile solids into carbon dioxide, methane and ammonia. 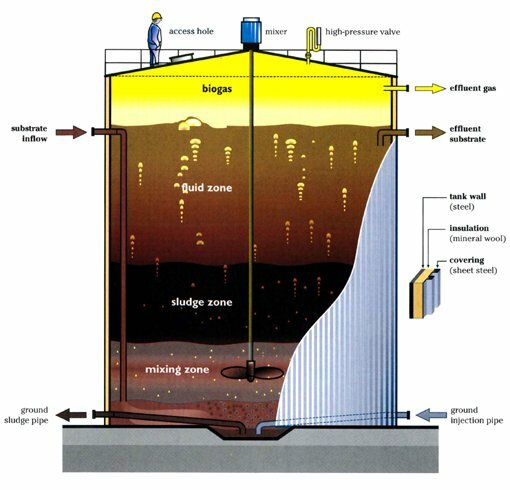 1.1 Anaerobic digestion is a biological process that uses bacteria that function in an oxygen free environment. These bacteria convert volatile solids into carbon dioxide, methane and ammonia.